Is shyness stopping you from flirting with people you find attractive? Want a method that's guaranteed to boost your seductive skills? Flirting can be lots of fun, but to do it well you need to have self-belief. You need to feel sure of yourself and your powers of attraction, enjoying the process instead of worrying about whether or not the other person responds in a certain way. 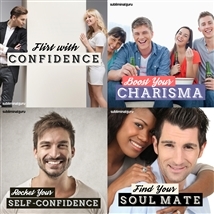 With the Flirt with Confidence subliminal session, you'll find the confidence to approach anyone, any time! As you listen, thousands of potent positive affirmations will rewire your mind, helping you come out of your shell for good. You'll start to ooze charm and charisma, using your body language to draw others toward you. You'll find the courage to take chances, stepping out of your comfort zone and just going for it. 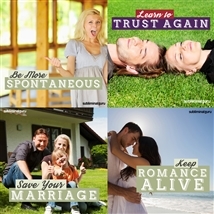 Download the Flirt with Confidence subliminal audio now to set your flirting potential on fire. I love flirting with people.